Daco Solutions offer a full range of rotary die cutters for plain label production. The range includes the DTD250 table top and the D250 / 350 for the short to medium runs and the DSI 430 for the medium to long runs. 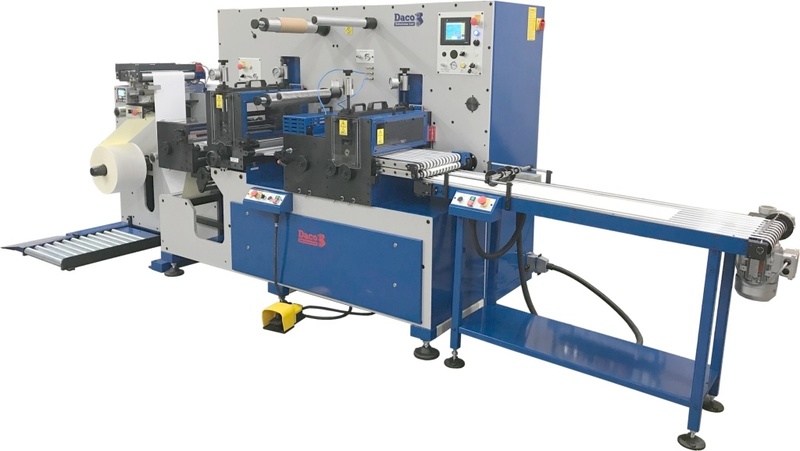 The Daco TD350 is a high speed converting line consisting of a 1m (40″) unwind, 1 or 2 servo driven rotary die stations and a servo driven turret rewinder with label closure for the production of plain labels with very little operator input. DTD250 rotary die cutter is an entry level 250mm (10″) table top rotary die cutting machine for the production of plain labels with a maximum speed of 150 m/minute (492 ft/minute). 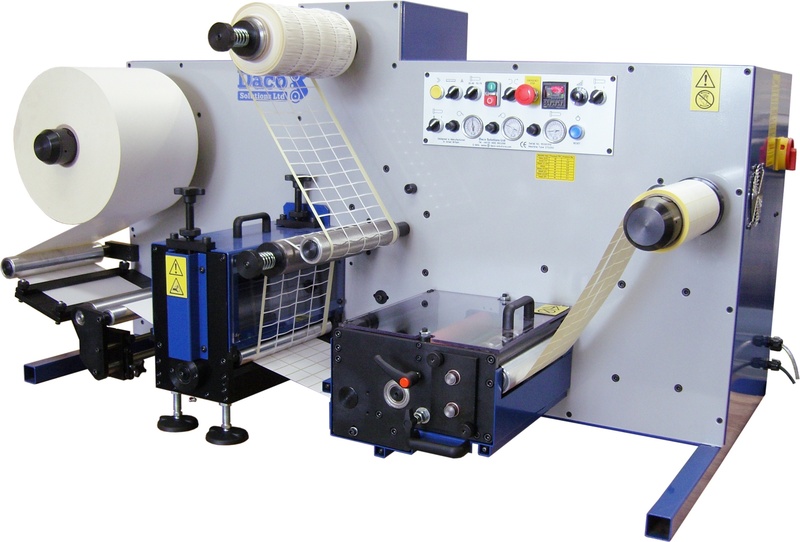 The Daco D350S sheet label production line for the manufacture of inkjet and laser labels. 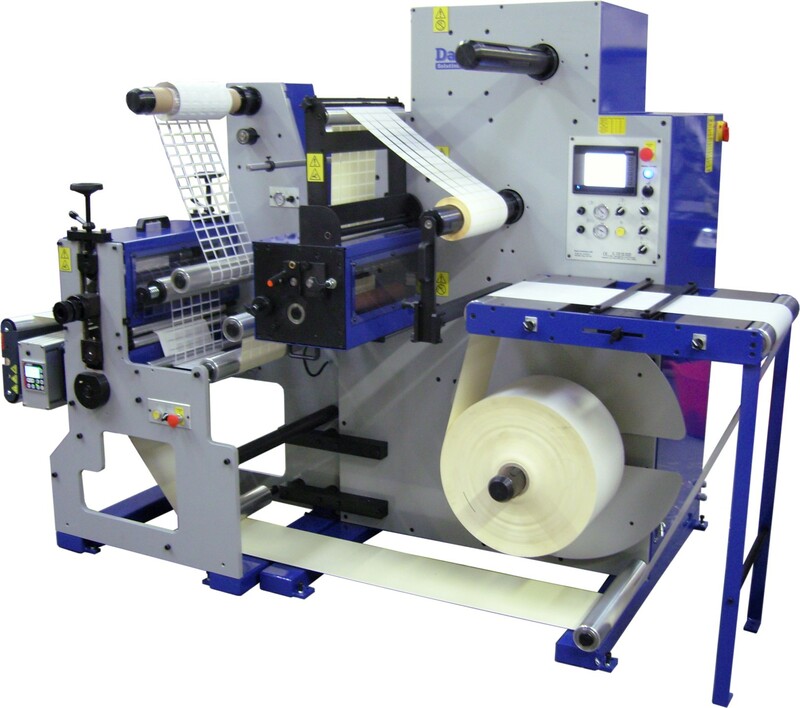 The D350S can produce A5, A4, A3 & SRA3 sheet labels; the die station and sheeting unit are both fully servo driven with the sheeting station only using one cylinder to produce all sheet sizes. The Daco TD350 plain label converting line is the ideal machine for converting labels automatically with little operator input. The machine is equipped with a high capacity 1m (40″) unwind and a 4 spindle fully automatic turret rewinder.